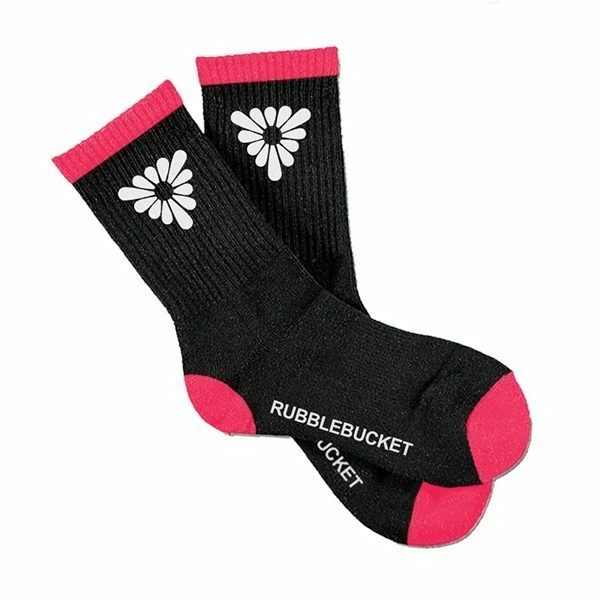 Black socks with Rubblebucket print on the bottom, triangular daisies art on calf. Trimmed in pink. High-quality stuff by Sock Guy! Small/Medium fits men's sizes 5-9 and women's sizes 6-10. Large/XL fits mens sizes 9-13 and women's sizes 10-14.